As a proud Australian Agency- our ultimate goal at Red and Black Solutions, is to equip our team with the tools needed to create ripples of social change in our own communities. We are fortunate enough to live in a world where technology allows everybody to connect, regardless of locations and time zones, this has enabled us to support overseas charities in developing countries such as the Philippines, Nepal, and Indonesia – where millions are living below or just above the poverty line. It is safe to say that there is much more than meets the eye to every dollar spent with us. We’re proud to be making these social ripples of change in these communities and are eternally grateful for the clients that help us make it happen simply by working with us. We’re strategists, we’re marketers, we’re designers, we’re developers, we’re advertisers, we’re digital marketing experts. Our highly skilled team thrives on result proven strategies for serious growth for clients businesses.While most marketers rely on one or two tactics, our transparent high-value systems ensure comprehensive marketing for successful delivery of Digital Marketing that works. After years working and connecting with amazing people, often from less developed countries such as the Philippines, our founder, Linh Podetti, was blessed with the chance to reflect on her own roots in which she migrated from Vietnam, to the opportunity-abundant Australia. 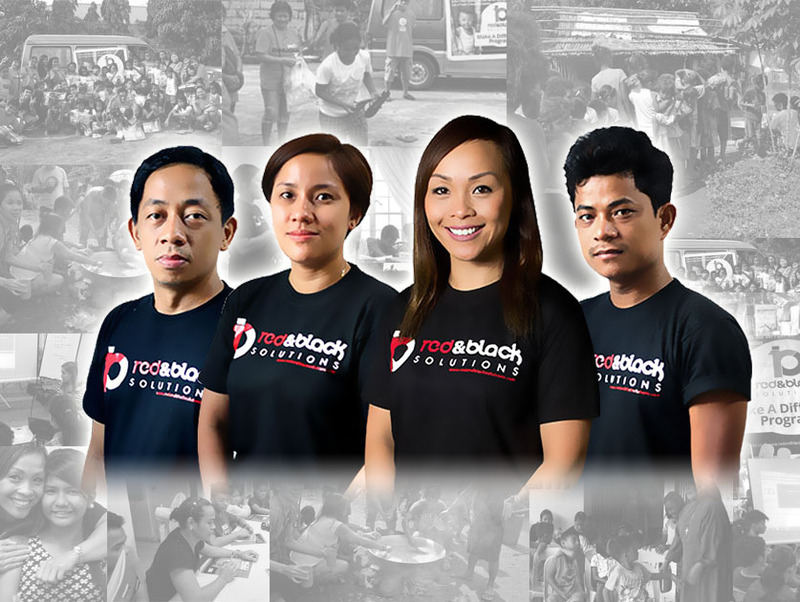 By focusing on her passion for social empowerment, Red and Black Solutions, particularly through its subdivision, Outsourcing Angel, is consistently involved with self-initiated charitable work. We have worked with charitable agencies such as Tribu ni Bro to feed children from remote, impoverished tribes. 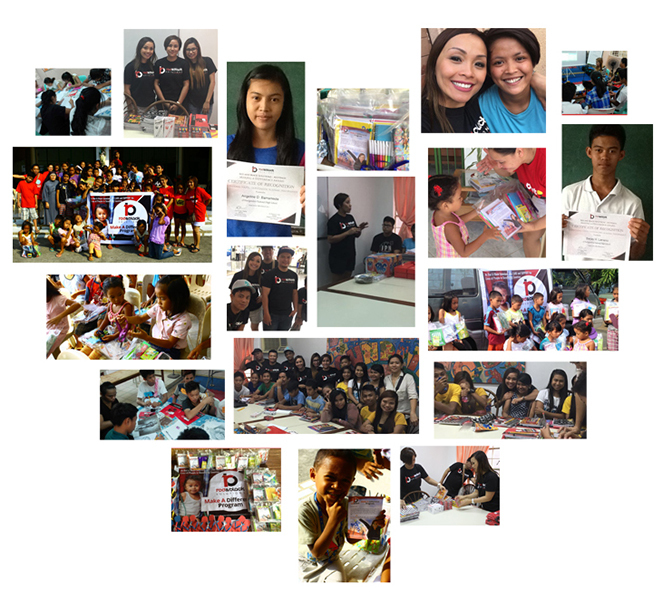 We are also involved in a collaboration with the Virlanie Foundation to provide internships and workshops to underprivileged youth in the Philippines. This allows us to empower these youths by equipping them with skillsets and tools that they can use to find real work in the future. Find out more about how Red and Black Solutions is changing the world through its subdivision, Outsourcing Angel.